David Allan shares his thoughts after learning more about Money for Moray on their latest PB process. For most groups running PB processes the final event is what everybody sees, the visible tip of the iceberg, if you like. But the planning, preparation and sheer hard work that goes into PB represents the other nine tenths of the process. On a cold (and I mean Baltic!) February morning, I dropped in to one of the group’s planning meetings in Llahnbryde Community Centre. Coffee, cakes and chat abound – the group are welcoming to a fault - and amidst it all decisions get made and the work gets done. 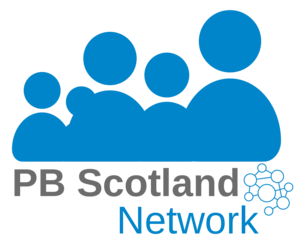 MfM are experienced PBers by now, this is the 4th PB process they’ve been involved in over the past 3 years - they’ve even spawned a spin-off project ‘Bucks for Buckie’ delivered by 2 of the group members. Not content with running their Community Choices PB this year they also organised and delivered a PB process before Christmas (£55,000 worth of grants, funded through Moray Council Economic Development). They allowed themselves a short rest over Xmas (!) before launching into the planning and delivery of their Community Choices activity – focused on improving health and well-being – leading up to their event on the 18th March. To date they have received 65 applications amounting to a total of £190,000 for their available fund of £60,000. Full report of the event and more from MfM here.